It’s a good outlook, and for salespeople, closing out the sales quarter with a bang is a valuable skill. Many a goal has been reached with a late charge or epic comeback to go over the top. And the most important action you can take to start the quarter strong? Establish more effective goals and put them in writing. Setting vague goals without constraints usually doesn’t yield optimal results, but we often do it anyway. Ensuring that your goals meet each of these guidelines will help you set more effective goals. In addition, salespeople’s lives are often governed by large, over-arching goals like revenue or wins — but these goals should be broken up into smaller, more attainable goals whenever possible. For managers, determining these might require reviewing performance data, analyzing the sales process, having discussions with marketing or other teams and anything else that will give you greater insight into your success metrics. For reps, it might mean breaking the quota down into smaller weekly or monthly goals or steps to achieving those goals. You probably know what big picture goals you have to achieve this quarter, but actually putting those in addition to your supplementary goals down in writing will lead to better sales results in the end. Studies suggest that people who write down goals achieve them at a higher rate, with a study at Dominican University finding that people are 33% more successful at accomplishing goals when they write them down and are reminded of them regularly. In the fast-paced world of sales, putting your goals on paper is even more important. There are so many different actions competing for the attention of a sales person that staying focused on the right goals is critical to achieving success in the big picture. If your goals are loose and out of sight for the duration of a quarter, the likelihood that they’ll be achieved is significantly lower. Writing down sales goals means formally establishing those objectives, so once that’s been completed, it’s important that they stay visible and top of mind. It’s usually not enough to just ask people to focus on various behaviors and goals because they either won’t do it or will deliver mixed results — and that’s why you should schedule contests to support those goals. 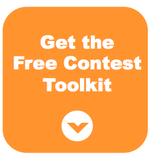 Here’s an example of a contest designed to promote new business opportunities. Contests are effective because they help reps keep their eyes on the ball by formally prioritizing behaviors and focus. They satisfy the conditions that lead to a higher completion rate (from the Dominican Study), because logically, you can’t have a contest around a goal that is unmeasurable or that the team is unaware of it. The competition itself functions more as a mechanism to focus the behavior, and reps are actually motivated more by the existence of competition than by the actual incentive it might yield. When you add in the elements of publicly displaying results and frequent goal reminders (which are important to the success of a contest), you have all the elements to follow through and achieve those goals by the end of the quarter. Getting the quarter started off on the right foot with effective planning and goal setting can make all the difference in the end. Sales requires living in the moment, because when the calendar turns over and a new quarter begins, like it or not, the scoreboard resets and and it’s 0 – 0 all over again. Your approach at this juncture is important, which means setting meaningful goals and focusing and driving them from the start. If all goes well, you’ll avoid having to tell yourself, “It’s not how you start…,” over and over again when the end of the quarter is fast approaching. Want stronger sales goals? Here is why writing them down leads to a greater chance of success.